A must for winter riding! The best way to keep snow from building up in your horses hooves! These rim pads are very effective in preventing snow balling and also allow you access to the sole and frog. This is more natural for the hoof and prevents thrush and other fungal issues that can arise with full pads. 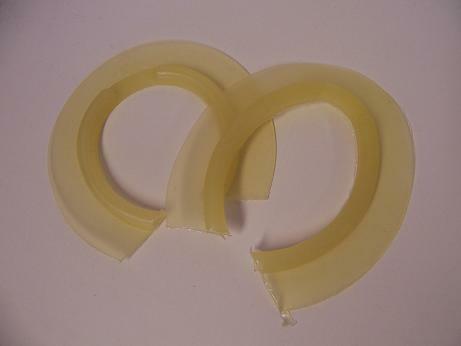 These durable polyurethane rim pads come in front and hind patterns and are sold individually.